Color: Black. 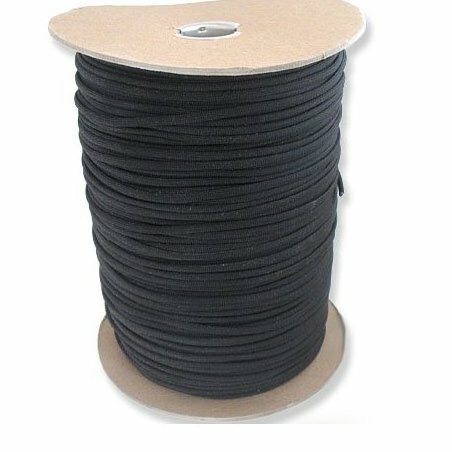 7 Strand Cordura Nylon | 550 Type III Parachute Cord (Paracord). Strength: 550-650 lbs. Length: 1000 Feet. MADE IN THE USA! US Military Specifications!.